Like clockwork … or is it like water works? Today is day 3 of the Casey Anthony murder case jury selection phase and once again when Judge Belvin Perry read the charges against the tot mom Casey Anthony in the death of her daughter Caylee Anthony … she cried again. I wonder what the Vegas over/under is for consecutive days of crying is? Day three of jury selection for Casey Anthony’s murder trial began on Wednesday, and for the second time since her trial started, she cried as the judge read the charges against her. She is charged with first-degree murder in the death of daughter Caylee Anthony. 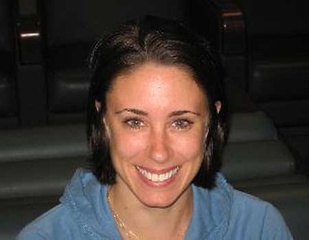 It’s too bad that Casey Anthony was not crying for her missing daughter when she instead thought it in her best interest to go out dancing and clubbing. Its too bad she was not crying when no one knew that Caylee was even missing. Its too bad she was not crying when she was misleading and lying to law enforcement in the disappearance of little Caylee. But it is interesting to note that every time she cries, it’s when something is said about her. When Casey was indicted for first-degree murder, she cried. Last week, when Judge Perry talked about her getting a fair trial, she cried. But when Caylee, her dead daughter, is brought up, Casey seems stoic and unemotional. She is so self absorbed, watching her play with her hair, adjust her shirt, put napkins under her bottled water. I believe she is guilty. I hope trial will be on tv cant wait to see her explained out of not reporting her child missing, her partying, her tatoos, and why she didnt see her mom on mothers day. this family is so dysfunctional, poor baby thank the lord she is in good hands now. I wish the judge would try just saying one thing after another about KC just to see if she continues to cry…”KC Anthony you are facing the DP if found guilty,” “KC you will never be able to wrap you naked body in an American flag and dance on tables ever again if found guilty,” “KC you will never have your picture taken peeing in a parking lot again if you are found guilty,” “If you are found guilty KC you will never be able to go out and get drunk and party again.” I guarantee you she will cry harder and harder the longer this continues because she is a narcissist. She only cares about herself. How could anyone hurt that beautiful, angelic child? How could anyone in their right mind leave that child in the care of an individual known to be a sociopath? The Anthonys did not want to be bothered with raising Caylee. They knew their daughter, and those lazy, worthless, excuses for humans were tired of babysitting and welcomed the time when they forced mentally deranged KC to leave their house with the baby. Has that precious baby’s best interest ever been top priority for anyone in her life? I guess if you do have your grandchild’s best interest as top priority you don’t find her remains down the street in the woods. Sorry, I forgot to make my point. The defense is not going to want middle-age African-American women on the jury because as an ethnic group black grandmothers are famous for helping to raise their grandchildren. I taught school for many years and I never taught a black child who did not have the unconditional love and support of their grandmothers. Boy, could Cindy Anthony learn something from this group of women. I do not think the defense is going to want any middle-age black women listening to the way this unloving, crazy, bunch of nut jobs treated this child. I doubt they are going to want any grandmothers period on the jury considering what Caylee had as a grandmother. Three years for Justice? A waste of time & money. If she went with a speedy trial this nightmare would have been over two years ago. I’ve been reading the SM Forum about the jury selection and my neck and head are killing me. The defense seems to be suggesting that they are going to say that Casey was sexually abused by her father or brother and that if one of those male members of the family turns out to be the father of Caylee then that might be what saves Casey from the death penalty. Am I wrong in thinking that at the very beginning, right after Caylee went missing, it was rumored that George or Lee may be her father? I think I remember that at least one of them agreed to a paternity test (Lee?) and it proved that he was not the father. Does anyone know about this?